illiam James Linton, master of wood-engraving, poet, and radical republican [i.e. leftist], is today less well known than his anti-feminist ex-wife Eliza Lynn Linton. This friend of Mazzini and William Bell Scott, Carlyle and Whitman, seems to have been acquainted with most of the literary, artistic, and leftist political figures of the day. 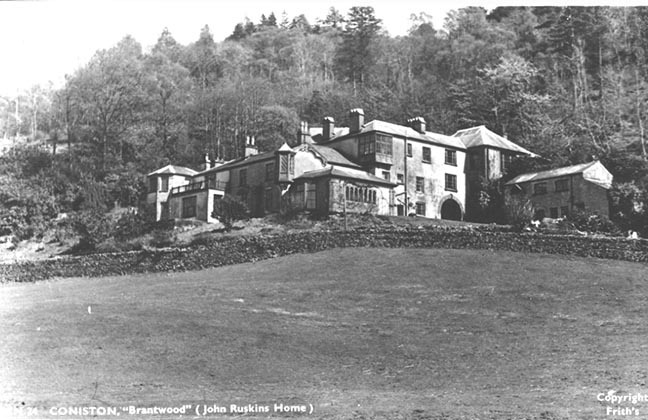 The owner of Brantwood, he sold it to Ruskin after moving to the United States, where he died near the century's end. One receives some idea of his versatility by the fact that before leaving England in 1866, this wood-engraver who did important work on the Moxon Tennyson had published a Life of Thomas Paine (1839), numerous political tracts and children's stories, The Ferns of the English Lake Country (1865), and Clairibel, and Other Poems (1865). After emigrating to the United States, where he became a member of the National Academy of Design in 1882, Linton published, among others, A History of Wood-Engraving in America (1883), Wood-Engraving: A Manual of Instruction (1882), The Life of John Greenleaf Whittier (1893), editions of English and American poetry including Rare Poems of the Sixteenth and Seventeenth Centuries (1883), and many political pamphlets, such as The House that Tweed Built: Dedicated to Every True Reformer (1871) and a Hudibrastic satire on the corruptions of the Grant administration, The American Odyssey: Adventures of Ulysses Exposed (1876). One may add as an interesting note that when E.T. Cook, Ruskin's editor and biographer, quoted some of Linton's words in praise of the man to whom he sold Brantwood, he omitted the admiring comments about Unto This Last. Perhaps he feared that the admiration of the man he described as a "political agitator" would harm Ruskin's reputation. I do not believe Ruskin would have thought so. Cook, E. T. Homes and Haunts of John Ruskin. London, 1912. Page 207. Linton, William James. Three-Score and Ten Years, 1820-1890. New York, 1894; published in London the following year as Memories. Ruskin, John. Works. Ed. E. T. Cook and Alexander Wedderburn. 39 vols. London: Allen, 1903-1912.